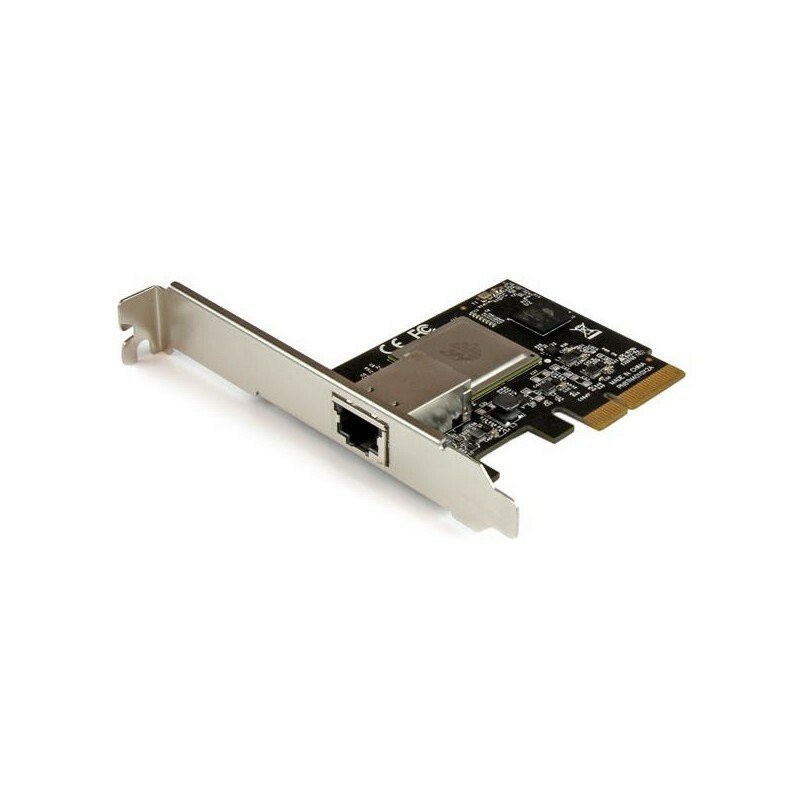 The ST10000SPEX PCI Express 10 Gbps Network Card lets you add a 10-Gigabit Ethernet port to your server or high-powered workstation through a PCI Express x4 (or higher) slot. With rising demand on network resources due to large file transfers, increase in network users and multimedia content, more bandwidth is often required at various levels of your infrastructure. This 10 Gb NIC offers a cost-effective solution for your file or application server or even a high-powered workstation to transfer more data, faster. Fully compliant with the IEEE 802.3an 10GBASE-T standard, the card offers added bandwidth over standard Cat 6a cabling, to meet your network needs without an overhaul of your infrastructure wiring, or a costly upgrade to fiber. The 10 Gbps network card also offers compatibility with VMWare® ESXi 5.0/5.1 and Microsoft Hyper-V® virtualization software and iSCSI support to combine LAN and SAN functions. For peak operating efficiency, the 10GBASE-T card features the Tehuti TN4010 chipset, compliant with 802.3az Energy Efficient Ethernet and with significantly reduced power consumption versus the popular Intel® X540-AT1 chipset. The reduced power consumption also helps to minimize heat generated by the card, to avoid increasing the operating temperature within your server case. The card also supports 16K Jumbo Frames, 802.1q VLAN tagging and is backward compatible with 1 Gbps and 100 Mbps network connections. For added versatility, the controller card is equipped with a standard profile bracket and includes a low-profile/half-height bracket for installation in small form-factor computers.